Okay, I'm going to admit it. I kinda sorta love weekends because it means I have more time for breakfast. I'm a breakfast loving girl. On weekdays, I get up, make breakfast and lunch for Jesse before he goes to work, make myself a cup of tea and then quickly make myself breakfast before I turn into a hangry beast. How do people go without breakfast? I seriously don't know. On the weekends, I sneak out of bed before Jesse gets up and the kitchen is alllll mine. I can make whatever breakfast I fancy and I can eat first. Sounds totally greedy - but let's just forget that part :P Girl needs her breakfast. I have a bit of a strange habit. I like to take traditional foods and put an entirely new twist on them (case in point: lamington chocolates, carrot cake oatmeal, gingerbread pancakes). Jesse thinks it's totally weird - but to me it's a pretty logical thing to do. You know a flavour combination or an idea works, so why not use it in totally different ways? 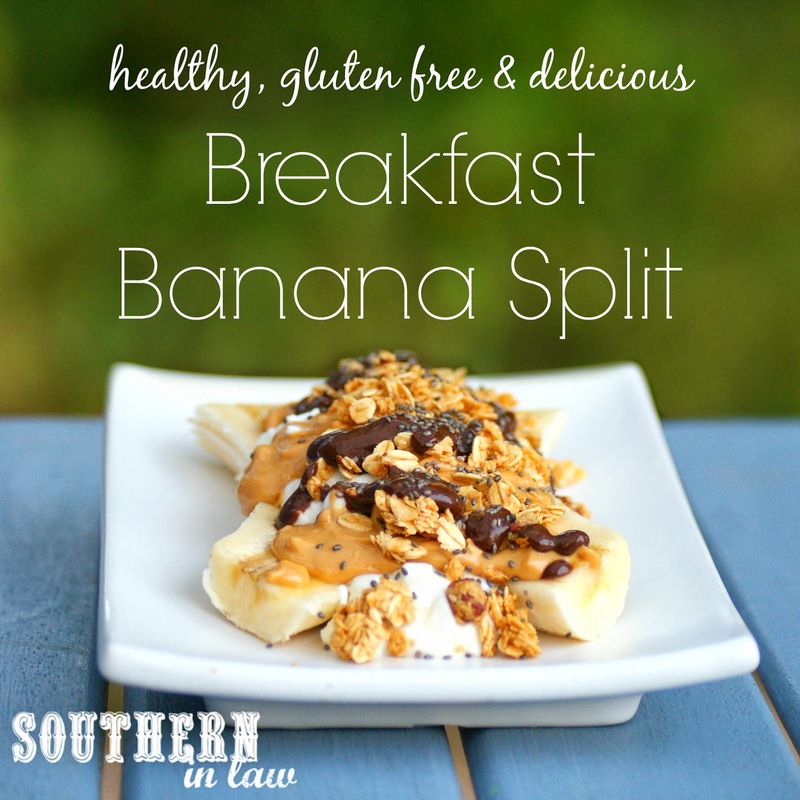 On this particular morning, I decided to make a banana split - but not any banana split...... a Breakfast Banana Split. First I split my banana and then the hunt started for the perfect toppings. 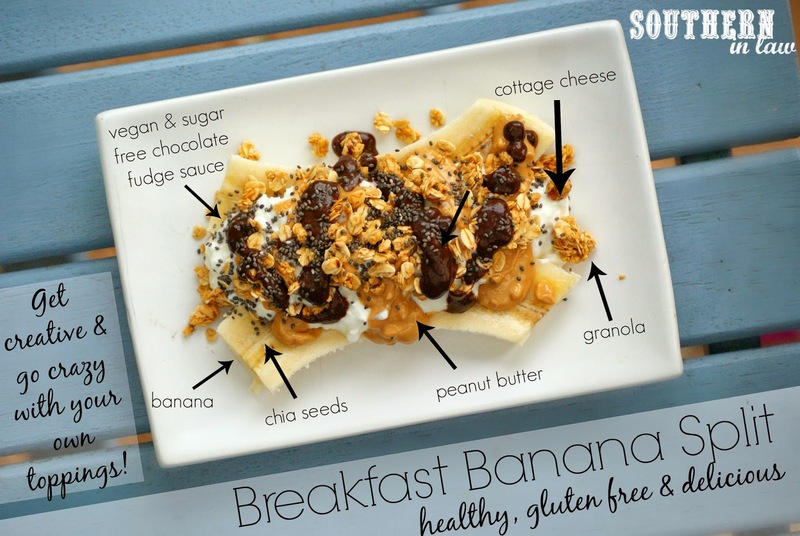 I had cottage cheese open in the fridge so that was my creamy base - then came the granola, chia seeds, peanut butter and topped off with my healthy fudge sauce. Ummmm, can you say heaven on a plate?! You can totally go to town with your toppings - I've used everything from yogurt and different cereals to shredded coconut to chocolate chips and everything in between - but here's how I did this one.. Note: Feel free to use whatever toppings you desire, this is just what I used! Top with your cottage cheese, sprinkle over the granola and chia seeds. Drizzle your peanut butter and fudge sauce over the top. 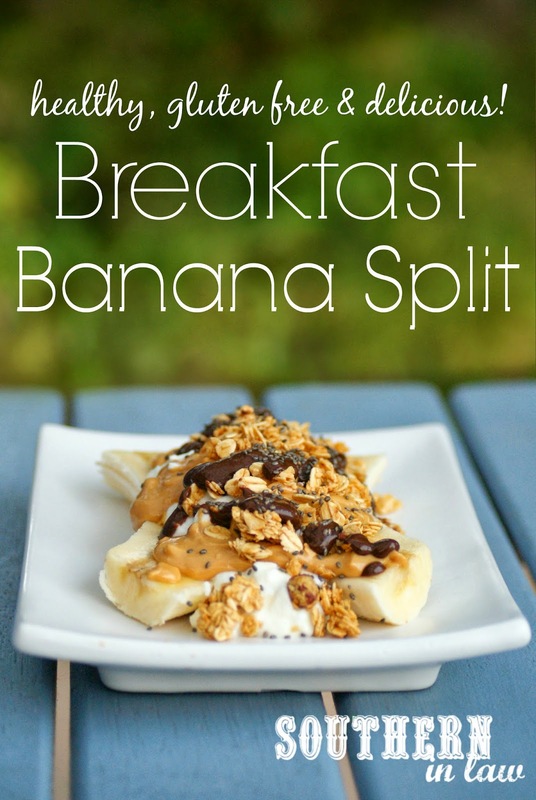 But tell me, how would you top your breakfast banana split? And are you a breakfast lover or do you struggle to eat breakfast in the morning? What a fun breakfast! You know I am a total breakfast girl, even right now I am so excited for tomorrow morning (Saturday!). I will be testing out a new recipe and I am so siked, hahaha! Using cottage cheese sounds like a good idea, but I'd stick to Greek Yogurt. Your recipe is a creative way of re-making a popular dessert! You can definitely use greek yogurt if you're not a cottage cheese fan!